Do you know what Bitcoin is? Of course, you do. But do you really understand how it works and what this kind of tech represents? Unless you’ve been living under a rock, and even then, you must have heard about Bitcoin in the past few years. At first, it was the hottest trend on the market – everyone had to use cryptocurrencies no matter for what purpose. If you wanted to buy things online, you went with Bitcoin. If you wanted to play online casino games, Bitcoin was your first choice. However, after a while, the market changed drastically, and Bitcoins’ value dropped dramatically. Nowadays, the market has stabilized, and you can use Bitcoin without fearing the consequences. So now that you can take a step back and look at Bitcoin and Blockchain technology without getting lost in all the fuss around it, you should learn as much as you can about this kind of transaction method. Are you ready? Before we delve into how you can use Bitcoin and other cryptocurrencies, it is crucial to understand the technology behind it. Up until cryptocurrencies were invented, you had to go through a third party, such as a bank, to conduct most of your money transactions in a safe form. What Blockchain technology offers you is the chance to perform such transaction without the need for a mediator. 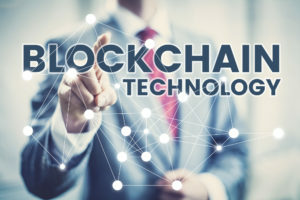 Blockchain provides you with access to a public database, or a digital ledger, where all the transactions are recorded. Since the database is open for everyone to see, anyone can take a look at it and verify its authenticity. If you want to make a payment by using blockchcain, the transaction will be represented as a block – hence the term blockchain. This block will go out into the network, where a chain of computers will approve the exchange, it will be logged in the public ledger, and the recipient will get his money. Once you understand how blockchain technology works, it is time to take a look at what you can do with this kind of tech. You can use blockchain to make transactions involving money, goods and services, and even property. However, most people prefer to stick to money transactions, even when they have other options. Bitcoin was the first cryptocurrency that took over the world by storm. Even though there are hundreds of different cryptocurrencies nowadays, Bitcoin is the most popular of them all. If you’ve been paying attention, you must have noticed that Bitcoins’ value has fluctuated in the past year. Up until December 2017, Bitcoin wad solid. By the end of the year, it reached new heights and was worth more than $19,000. However, for various reasons, the value of this cryptocurrency began to go downhill afterward, and by February 2018 it was worth about $7,000. But don’t be alarmed! Since then, the coins’ value has remained practically the same, and it seems as if the dust has settled and things won’t change anytime soon. Therefore, you can start using Bitcoin without worrying about whether the coin is stable enough or not, and you can use it freely. So what can you do with Bitcoin? Where can you use this type of cryptocurrency? Nowadays, more and more companies understand the potential behind accepting cryptocurrencies. Therefore, you will find that there are a lot of companies that accept this kind of money transaction method. You can buy gifts, book flights, and book hotels, download music, and even play pokies online while using Bitcoin as your main money transaction method. Although not all stores and online casinos accept cryptocurrencies, you can rest assured that in a few years everyone will be able to use this kind of transaction method without limitations. The world is changing thanks to the warp speed at which technology advances. Nowadays, you can use Bitcoin or a variety of other cryptocurrencies to make online transactions, and you don’t have to go through a third-party anymore. Use this payment method whenever you want to make fast transactions, and you are golden!